Residents of The Automatic Lofts continually experience the excitement of Chicago’s West Loop and have the opportunity to thrive in one of the city’s most celebrated historical landmarks. Out of all student housing in downtown Chicago, only The Automatic Lofts can ensure you will have a historical college experience of your own. Our Exposed brick walls and timber columns are reminders of the vibrant factory that produced the Strowger Automatic Telephone switch that eventually replaced the iconic switchboard operators of the early to mid 1900's. Well ahead of its day, the Automatic Electric Factory manufactured switches that would automate and revolutionize the telephone industry. 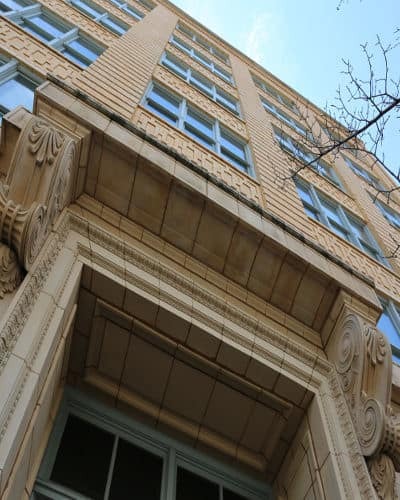 In the spirit of connecting the Past and Present in this historic setting, we are bringing gigabit Internet to Automatic Lofts along with WiFi in every apartment, continuing the tradition of advancing technology and communication. Enjoy the best in modern comforts and amenities in our beautiful historic West Loop building. 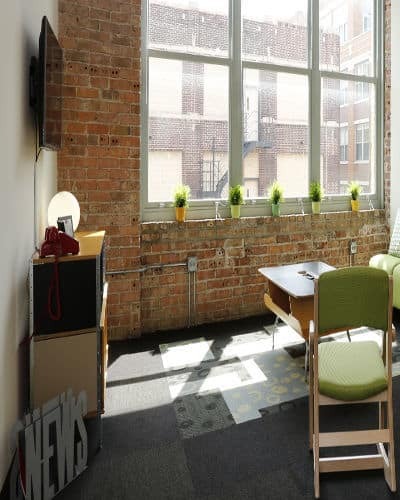 Listed on the National Register of Historic Places as the “Automatic Electric Company” building, The Automatic Lofts offer students urban loft living in the heart of Chicago's West Loop. Fore more on the Automatic Electric Company in the NRHP list, check out the National Park Service website. Our stunning furnished lofts in downtown Chicago are specifically designed to fuel creativity by blending the building’s history with modern touches. Students and graduates hailing from several of Chicago’s popular institutions, like the University of Illinois and the Illinois Institute of Art, choose The Automatic Lofts for its spectacular high ceilings, unique layouts, and exquisite artwork. 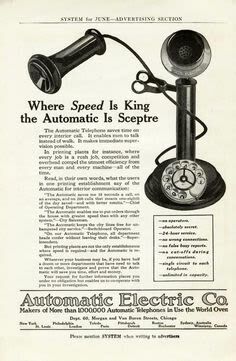 Like Western Electric, another industry-leading telephone equipment manufacturer located in the Chicago area, Automatic Electric spent most of its history as a subsidiary of another company. In 1889, a Kansas City resident named Almon B. Strowger invented an automatic telephone switch. 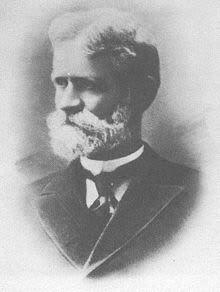 In 1891, Joseph B. Harris of Chicago convinced Strowger to move to Chicago, and the Strowger Automatic Telephone Exchange was established. In 1901, the company changed its name to Automatic Electric and opened a six-story plant on Chicago's West Side. By 1910, this facility employed 850 workers to make automatic switches and other telephone equipment. Most of this equipment was sold to independent telephone companies around the country and some was also purchased by the Bell system of AT&T. In 1919, Automatic Electric was purchased by Theodore Gary & Co., a Kansas City–based enterprise that already owned several small telephone companies around the country. 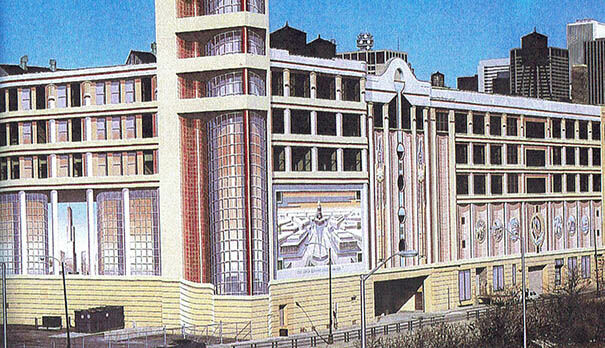 (In 1932, Gary & Co. would move its executive offices to Chicago.) During the 1920s, under Gary's leadership, a growing Automatic Electric established branches in Belgium, Italy, and Canada; meanwhile, it employed about 3,000 people at its West Side facilities. During this period, the company made roughly 80 percent of the world's dial-operated automatic telephone equipment. By the mid-1950s, Automatic Electric employed about 8,000 Chicago-area residents at a complex of 17 buildings on the West Side. In 1955, when Theodore Gary & Co. was acquired by the General Telephone Corp. (renamed the General Telephone & Electronics Corp., or GT&E, in 1959), Automatic Electric became a subsidiary of the nation's second-largest telephone company, which was headquartered in New York. In 1957, Automatic Electric moved from the West Side to a new 35-acre facility in suburban Northlake. At late as 1974, when it was still a division of GT&E, Automatic Electric employed about 10,000 Chicago area residents. The Northlake plant, however, found it increasingly difficult to develop new electronic and digital switching technologies that would allow GT&E to outpace its growing number of competitors. In 1983, just after the parent company changed its name to GTE Corp., the Automatic Electric name was scrapped, and the headquarters of GTE's new “Communication Systems” division, which included the Northlake operations, was moved to Phoenix, Arizona. This soon became part of AG Communications Systems Corp., a joint venture between GTE and its old rival AT&T. By the end of the twentieth century, the remnants of Automatic Electric (like those of Western Electric) had become part of Lucent Technologies, the manufacturing entity that separated from AT&T in 1996. Telephone Industry Pays Tribute to Dial System Inventor, Penfield Native. Mrs. Dewey Foster of Cazenovia recently sent this newspaper a clipping from the Tampa (Fla.) Tribune of Oct. 23, 1949, which told of a tribute paid by the telephone industry to Almon Brown Strowger, who is credited with having invented the automatic dialing system. Every time you pick up a telephone and use the dial system your action is possible because an undertaker in Topeka, Ka., became angry sometime in the late 1880's when he learned that a close friend ha died and was to be buried by a competitor. Last week the telephone industry honored the long forgotten undertaker-turned-inventor, who is buried in St. Petersburg, (Fla.) and who never received the recognition due him for his tremendous contribution to the telephone industry. On Wednesday, Oct. 19, officials of the Peninsular Telephone Co., and others, placed a plaque on the grave of Almon Brown Strowger, which date was the 110th anniversary of his birth. He died in 1902. For years the grave had been neglected and forgotten. In fact it had took a search to discover the weed-covered burial plot in the Greenwood Cemetery. But at long last Strowger was given belated tribute... a man whose inventions should have brought him equal fame with Bell and Edison, leaders in the telephone world remark. Strowger was born in Penfield, N.Y., on Oct. 19, 1839. As a young man he taught school but later moved to Topeka, Kan., where he bought an undertaking establishment. How Strowger conceived the idea of an automatic dialing system to replace switchboard operators – when the telephone itself was little more than 10 years old – is a striking illustration of how events of everyday living can prompt great scientific discoveries. The story accepted by telephone historians is that Strowger went to his office one morning, hung his Prince Albert coat on the wall, picked up the Kansas City morning paper, sat down in his chair and began to read. Suddenly his attention was attracted to a news item concerning the death of a friend. To his astonishment he read that the burial was to be handled by a competitor. After reading this, Strowger jumped to the conclusion that his friends had tried to reach him by telephone, but the operator had erred and given the call to a competitor. Strowger, an acknowledged high tempered individual, flew into a rage. His eyes fell upon the telephone on the wall. He crossed over to the instrument, rang the bell impatiently, and when the operator answered he angrily blamed her for the happening. The surprised operator protested her innocence, but Strowger was not satisfied. So for months Strowger haunted the local telephone exchange and harried the operators with questions about their work. He saw there were 10 rows of subscribers lines with 10 to a row in front of the operator. To establish a connection with number 75, she would lift the plug to the seventh row of jacks and plug into the fifth hole of the row. Thus she would connected with 75. One day sitting at his desk and musing the problem, he pulled open a drawer and took out a round cardboard box that contained collars. He emptied it and its contents and picked up a paper of pins. One by one, he stuck the pins from the outside of the box toward the center until he had 10 rows. These 100 pins represented 100 subscribers lines. Then he took a lead pencil and held it out to the center of the box in front of the pins. The aspiring inventor reasoned that if he could get an electrician to introduce magnets and other equipment the could automatically connect number 75 by lifting the pencil to the seventh row, and moving it to the fifth pin point, he would connect number 75 and solve the problem. Strowger applied himself even harder and realization of his vision. 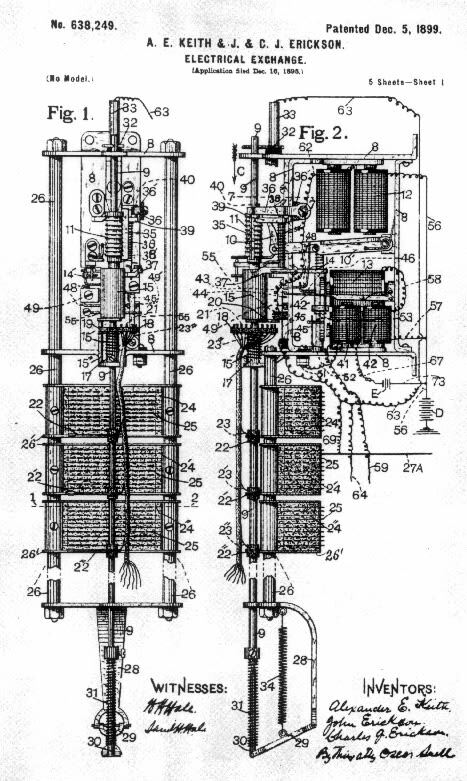 And on March 12, 1889, he filed an application with the U.S. Patent Office for an "automatic telephone exchange". This was only 13 or 14 years after Bell had successfully introduced the telephone. Patent Number 447,918 was granted two years later. This is the 60th anniversary of the filing of the basic patent which was the initial step underlying all of the mechanical switching and dial telephone development that had taken place since that time. Then Strowger met the same heart-breaking problem that had faced Bell. Everyone scoffed at his automatic telephone. He talked to all who would listen, but with little effect. However, one day he met a man, Joseph Harris, who was convinced that the school teacher-turned undertaker-turned inventor had something that would revolutionize the telephone industry. He agreed to assist in organizing, financing and developing the automatic system. In 1892, in La Porte, Inc., the first automatic telephone system was put into operation. The original La Porte installation was a "five wire" system, with five wires form the exchange to each phone. To call number 75, the subscriber had to push a button representing "10's" seven times and the button representing the "units" five times – a total of 12 operations of the buttons. Then by turning the generator, they could ring the called party. Strowger followed with many other patents pertaining to automatic telephones. He also held valuable patents on telephone switches, fire alarms and telegraph signals. But like many other inventors, Strowger apparently did not reap a great harvest from his patents. Although one report claims that he was paid a million dollars for his patent, more reliable sources indicate he received between 10 or 20 thousand dollars. Certainly later life and activities were not those of a millionaire. His health began to fail in the late 90's and in 1897 or 98' he moved to the small Florida town of St. Petersburg. The retired inventor became quickly enthused about the future of the struggling little town and became active in all political and civic affairs. He died in May 1902. The plaque dedicated last week reads: Here Rest the Remains of Almon Brown Strowger 1839-1902 Inventor and Pioneer Whose dream of a better telephone service inspired him to invent in 1889, the first practical automatic telephone system. This plaque placed here in his honor on the 110th anniversary of his birth, by grateful members of the telephone industry.